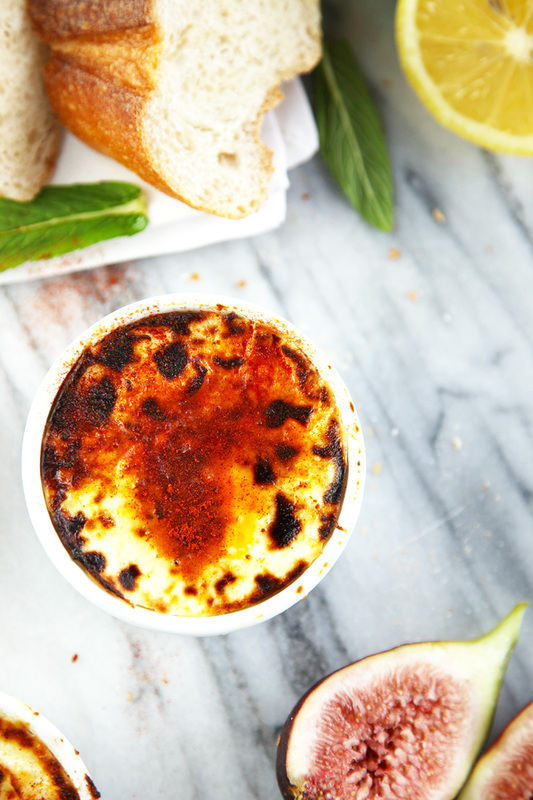 Baked ricotta is creamy, lemony, deliciousness. What more can I say! The little dude was a huge fan. He looooooves dips – or possibly the actual dipping itself, but either way he dipped away with gusto. Serve as a dip at your next party or I love it served with roasted veggies and crusty bread for a lovely vegetarian dinner. Top with either paprika, chilli, thyme, oregano, add another cheese like salty parmesan or serve simply as is. Make ahead of time and pop it in the fridge until you are ready to serve. Place under the grill until heated through and golden on top. To serve: crusty bread , mint, prosciutto, figs, etc. Place the ricotta in a bowl with the lemon zest and season with salt and pepper to taste. Put mixture into 2 ramekins or oven proof dish. Place under the grill (broiler) in the oven and cook until browed and heated through. It won't take long so keep an eye on it. Drizzle with olive oil and sprinkle with sweet paprika. Serve with mint leaves, crusty bread or whatever takes your fancy. The little dude and I love the sweet paprika sprinkled on top but you could add chilli and any other herbs and spices you like. I absolutely love baked ricotta. It is so easy and this recipe is super simple, I love the addition of lemon. Thanks for sharing. Love baked ricotta. A great topping for bruschetta too. I’ve only recently discovered ricotta and like it so much more than I thought I would – This looks so rich & tasty. Yummed! mmmm…. This recipe sounds heavenly! I always love the things you decide to make on your blog! This looks delicious! What a perfect appetizer! I love how you have it paired so beautifully with the figs and bread. Totally heavenly! Oh yum! This looks and sounds so good! Why have I not done this one sooner? Yum! What a great idea – and it looks delicious!